Aluminum foil is a perfect packaging material with a variety of excellent properties, and it has fully demonstrated its broad prospects in many fields. In general, there are few cases where plain foil packaging is used alone, and most of the aluminum foil or composite aluminum foil which has been subjected to various deep processing is used. In the process of using pinholes to reduce the barrier properties, aluminum foil and paper, polymer or other thin metal sheets are often used as composite packaging materials, which are widely used in the packaging and packaging lining of food, medicine, cosmetics, cigarettes, etc. At present, 50% of the aluminum foil composite paper is used for cigarette packaging, which is known as aluminum foil for cigarette packaging, aluminum foil in cigarette packaging material plays an important role in scent preservation and moisture resistance. 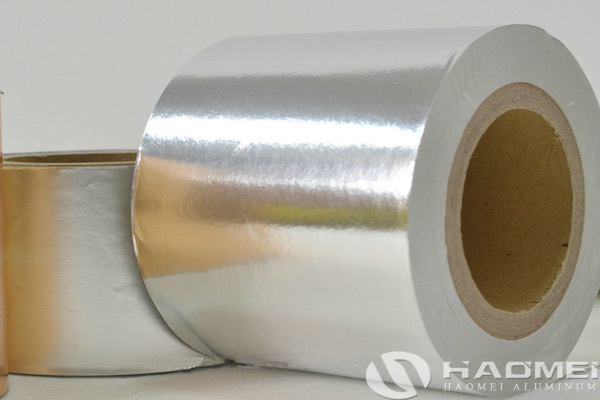 At present, aluminum foil composite paper, vacuum aluminum-plated liner paper and film-based liner have been approved by the major tobacco groups worldwide. The packaging adaptability is directly related to the production efficiency and product quality of cigarette industry enterprises, so good packaging adaptability is an important condition for the qualification of liner paper.